6500 Square Feet (604 Square Meter) (722 Square yards) 5 bedroom sloping roof style Traditional Kerala home proposed at Perumbavoor, Kerala. Design provided by Latitude Arq Hub from Ernakulam, Kerala. 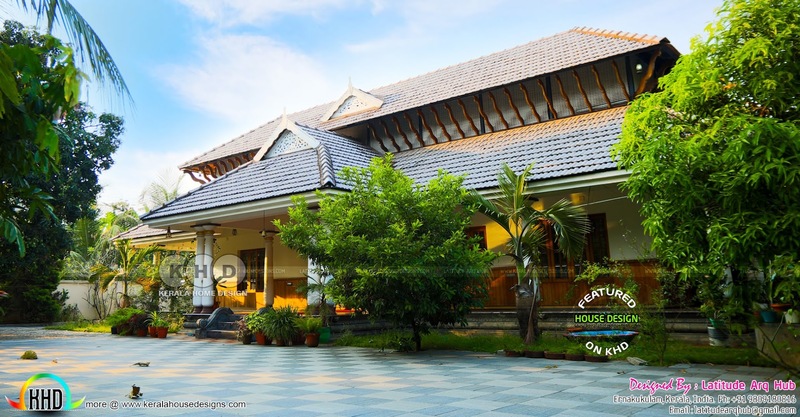 0 comments on "5 bedroom sloping roof traditional Nalukettu Kerala home"